Do I Need to Mic The Kick Drum? The kick drum is quite a unique part of the drum kit, and a real challenge for both recording and live sound. 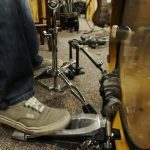 In this article, we look at the best kick drum mics (also known as bass drum mics) and what makes them suitable for accurately picking up the low, boomy sound of a kick. 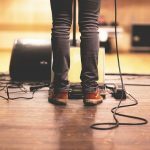 Every instrument you mic up will need some thought regarding which microphone you use, but not many have such a unique set of criteria as the kick drum. So what are we looking for? High SPL – the microphone needs to be able to handle a lot of volume as the bass drum is one of the louder instruments you will come across. Mics without the capacity to handle this volume are likely to distort and sound unpleasant, or worse, break. Bass frequency response. The microphones we mention below are great at picking up the low frequencies that the kick drum creates. Durability – all drum microphones are likely to take a beating at some point in their life. This is no different, and all of the mics reviewed below are designed to be durable and hard-wearing. Certain microphones have become renowned for their ability on bass drums. Some of these we’ve mentioned also on our list of the best bass guitar mics as they handle the same frequencies. Many of the products on our list have been specifically designed for bass drums. The “Egg mic” as it is often described. The AKG D112 is nothing short of iconic in the world of recording and can be found in recording studios the world over. You can buy either the D112 or the D112 mark 2, a more updated version of the same product. It has been designed specifically for bass instruments, and the kick drum falls into that category. Designed as a large-diaphragm condenser microphone, it fits the bill due to the fact it can handle an incredible 160 dB SPL so even the loudest drummers aren’t likely to experience distortion when recording. The diaphragm has been made with a frequency response which picks up sounds even below 100 Hz, and a little boost at 4 kHz can help the sound to punch through your final mix. The D112 is suitable for both live and studio/recording applications. Reviews are generally very positive and decades of being used in the studio have established this microphone’s legendary status. The ‘mark 2’ product even has a bass resonance chamber and a built-n hum-compensation coil which basically lowers the likelihood of any noise while recording. This microphone is unlikely to fail you even in the most challenging audio recording settings, and as well as being the best for bass drums it is also a wonderful choice for bass guitar and even some brass instruments. It is very difficult to make a list of the best mics of any description and not include something made by Shure. They are a prolific manufacturer and continue to create high-quality audio products. The 52A supercardioid mic is designed specifically for kick drums, and it shows. This high output mic is designed to give a punchy sound and functions well at even extremely high volumes due to its high SPL. The 52a as you may imagine was preceded by the Beta 52, the main difference being a redesigned tightening mechanism on the mount so you can fit it on just about any mic stand out there. The super cardioid pickup pattern is designed to ensure that you can get high gain without any feedback and that all ambient sound is rejected. This is vital in a drum kit, as there are a lot of sounds going on. The adaptor is designed to keep the mic in the same place even with all the movement that occurs when playing drums. The 52A is an extremely durable product designed to take a hammering both live and in the recording studio without breaking. Stand adapter designed to fit with most mic stands and boom stands. Performs at sound pressure levels up to 174 dBs. Hardened steel grille to deal with the inevitable abuse. Shock-mounted system to avoid mechanical noise and vibration noise being picked up on the mic. All of these features add up to a brilliant choice for recording and live performances. This isn’t the cheapest microphone, but the fact that it is so well built means it should last a long time and not succumb to wear and tear. Due to the many years of use you should get out of the Shure Beta 52A, it actually offers great value. We’ve found ourselves mentioning MXL mics more and more in recent months here on the website. The manufacturer is a division of Marshall, famous for decades of making the top amplifiers for guitars. MXL is a relatively new venture, but we’ve already recommended their 770 and 990 mics for both rapping and podcasting. The A-55 Kicker has been designed specifically for kick drums (hence the name). It is good for low-frequency instruments including floor toms, bass amps and even brass instruments like tubas. Just like many of its competitors, this is a hard-wearing and durable microphone which operates well at high decibel volumes. It uses a cardioid pattern to avoid picking up unwanted sounds. The reviews of the kicker microphone have generally been very positive. Most of the products we’ve used from MXL are very high quality, and very reasonable in terms of price. At the time of writing, this is a cheaper option than most of the other bass drum microphones we’ve looked at, and with so many five star reviews, this is clearly great for home recording or building a studio on a budget. In truth, the D112 and Beta 52A probably just have the edge in terms of recording clarity, but if you are looking to save money without compromising too much, the MXL could be your answer. We want to include not only the best, but the best cheap options for products we review on Subreel.com. That’s why we’ve included the Nady DM-80. The brand may not be a household name, and you probably won’t find one of these in Abbey Road studios, but ultimately the Nady DM80 does a good job of micing up bass drums without costing much money. In fact, this is a fraction of the price of many of some of the competitors. Realistically, this microphone is much more likely to be used for garage bands and small gig venues than recording a number one album, but considering the low price and surprisingly great reviews, we recommend the Nady for those on a tight budget. 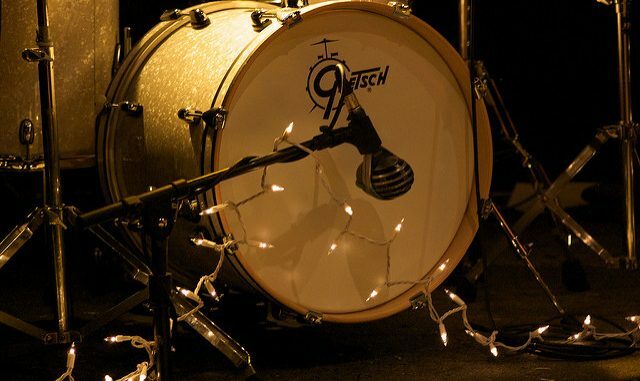 Kick drums are always microphoned in the studio, even in setups that only use three, four or five mics. 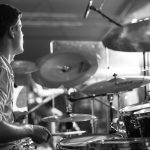 Although some drums are picked up by overhead mics, the kick drum is so unique and plays such a vital role that you should always record it. In certain live scenarios, you may not need to mic up the kick drum. 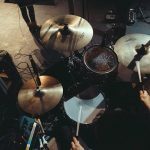 They are very loud, and if you are in a small club or gig venue or using a PA at your band practice, you might not need to run your bass drum through a mic, it could simply be overkill. Big venues, outdoor gigs and recordings will always require a mic. Many people starting to record drums will opt for a drum mic kit. This is a way to get the basic microphones for drums including kick, snares and overheads all in one pack. We have a full list of the top drum mic kits here. Purchasing one of these can be a good way to save money if you need a full drum set to mic up. It doesn’t matter how good your microphone is, put in the wrong place it will do no good whatsoever. There are multiple ways to set up, either inside (there is a hole cut in most kick drum heads) or outside the mic. 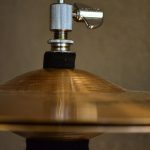 For a full guide, check out this dummies.com article or the video below – generally, we recommend a slightly off-centre positioning for your kick drum microphone for more punch and a less ‘boomy’ sound. There are always multiple ways of doing things, and some people even swear by using two microphones on your kick. One internal and one external can give you a choice, and even a blend of two different microphone sounds may be what eventually makes its way into your final mix. There is always a matter of preference, but generally, we recommend either the Shure Beta 52A or the “Egg Mic”, the D112 as the very best bass drum microphones. 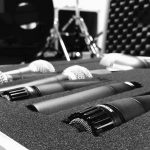 The decision you ultimately make is likely to be dictated not just by the best, but by your budget also, and luckily there are some very good dynamic mics out there which don’t cost a fortune. Whatever you do, opt for a product which has been designed with the kick in mind. If you have any questions, or your own experiences with the microphones reviewed above, feel free to leave a comment below. Should Drums Be in Mono or Stereo?